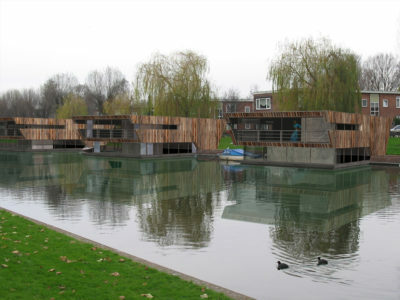 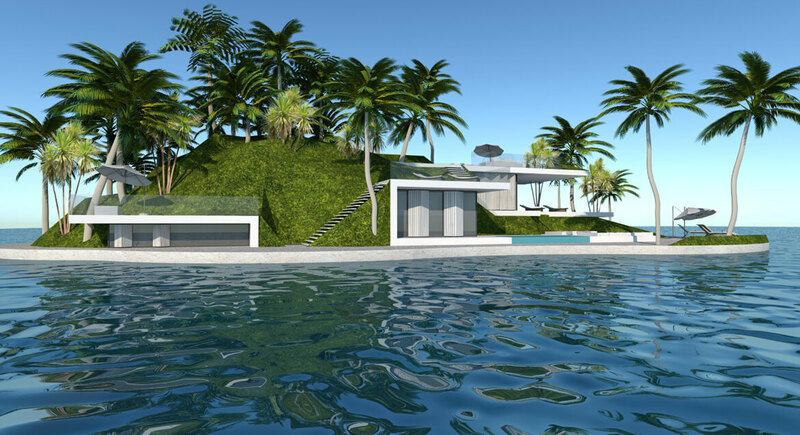 This specific floating private islands is designed as a green island whit a luxurious villa integrated in the green. 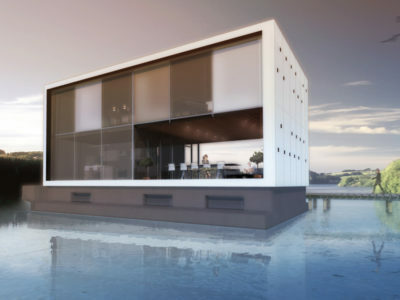 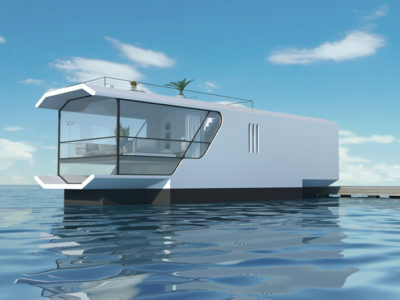 Thus the appearance of this floating villa is of a natural island. 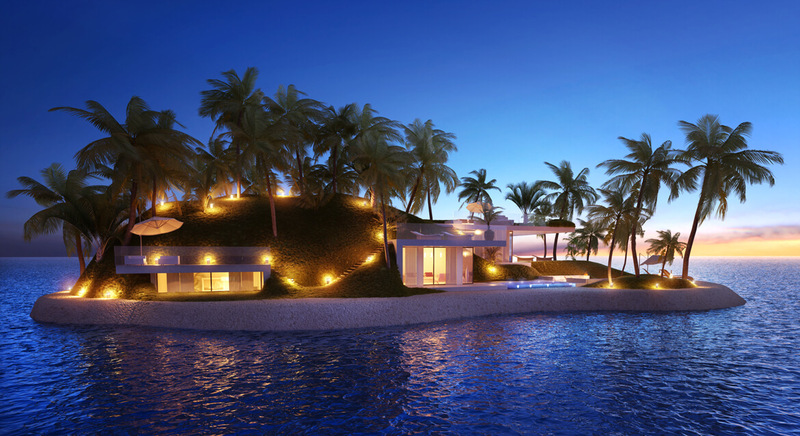 These Private Islands are self-sufficient, scarless developments with the latest state-of-the-art green technology, which keeps their environmental impact at a minimum. 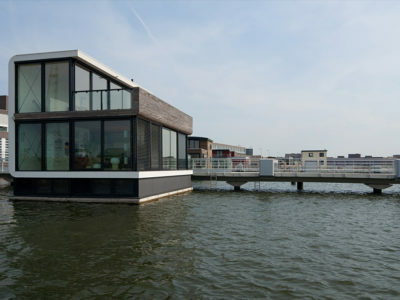 Completely stable on the water, the base of the island is built to last for far over 100 years and will create a new underwater habitat for sea life.